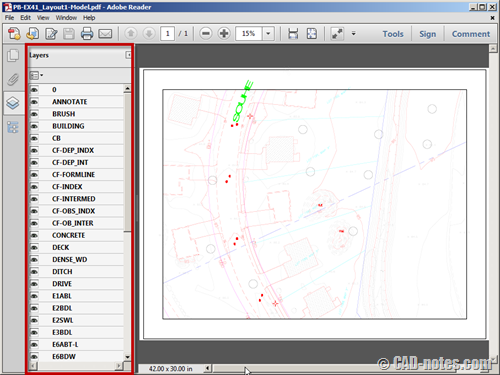 You should have DWG to PDF plotter in AutoCAD by default. This is very handy if you need to publish your drawing to PDF format, you don’t need to use separate PDF driver. However, you may find it’s not available for some reason. The ‘plotter’ is a pc3 file stored in your PC. So if you delete it, then you will loose the plotter. You can create PC3 plotter by accessing application menu (the big red A button)> Print> Manage Plotters. It will open Windows Explorer and open the location where your plotters are stored. Double click Add-A-Plotter Wizard to run it. You will see Add Plotter wizard. Choose my computer to create it on your machine, then click next. On the next page, you can choose Autodesk ePlot (PDF) as plotter manufacturer. Then choose DWG to PDF as model. Now you can click next and accept default values for the rest of this wizard. Click finish on the last page to finish creating plotter. 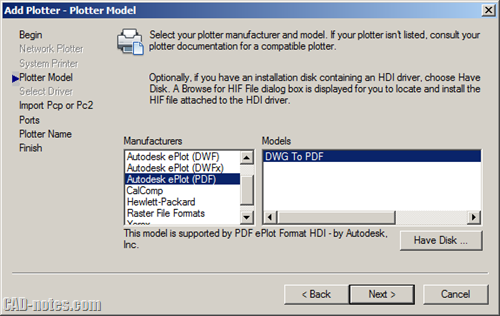 Now you should the DWG to PDF plotter. I also use this wizard to create TIFF and TGA plotters to create high resolution images. Plotting drawings to JPEG is often not good enough. You can choose Raster File Formats as manufacturer to create those plotters. This saved me !! Thank you so much for posting this. I accidentally messed up my PDF plotter and was able to create a new one using your instructions. You need to use color plot styles, like ACAD.ctb. Not monochrome. i have a mac so my autocad settings are different. how to resolve these issue with my autocad for mac? Are you connected to network and place customization on server? can i send picture the step by email? what can i do to fix the network path was not found? where i can find plotter folder? i really need this for my eval.. I want to create a 3d pdf file of my model that is created in auto cad 2013. Did all the steps – but the only option under Audodesk ePlot (PDF) is a PDF model. 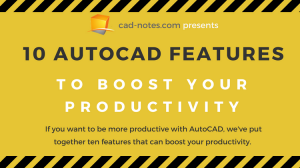 I’m running AutoCAD 2008 – Lite – does this make a difference? But I don’t have AutoCAD LT 2008 to test it. May be you can ask in Autodesk forums? You can ask about AutoCAD LT here. Do you have customization for your AutoCAD? If you don’t, you can try to reset AutoCAD settings to default installation. You can see how to reset AutoCAD to default settings here. Use the “publish” command, not DWG to PDF.pc3 from the pulldown menu during print. First save a “page setup”, then go to publish, choose PDF from the pulldown menu on the upper right, then CAD will plot a PDF from your page setup. I just went to file, plotter manager directly on autocad… but it brings me to my documents instead of bringing me to a plotter manager. When I try to go to plotter manager on my computer it brings me to the “my documents” foldee instead… how can I fix this? Thanks!!! How did you access your Plotter Manager? It is just a shortcut. You can access it directly using Windows Explorer. Remember to change the user name to your Windows login user name.